Free Pattern! 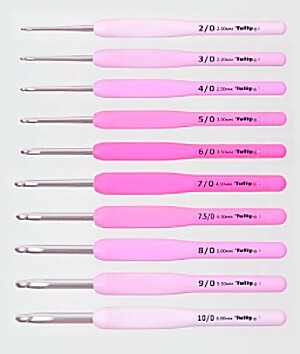 Hearty Sale of Pinkness! - Email not displaying correctly? View in your browser. 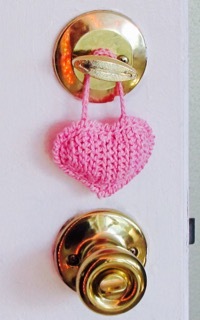 This week I noticed the gazillion ways people crochet Valentine heart shapes. Most of them are crocheted in the round from a center ring. Many are done in horizontal rows of single crochet. Some are started at the bottom point then worked flat, or in the round like amigurumi. There are still more. 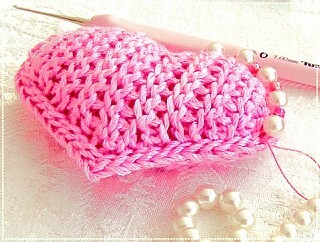 I found so many types in Pinterest that I created a "Hearts to Crochet" board). 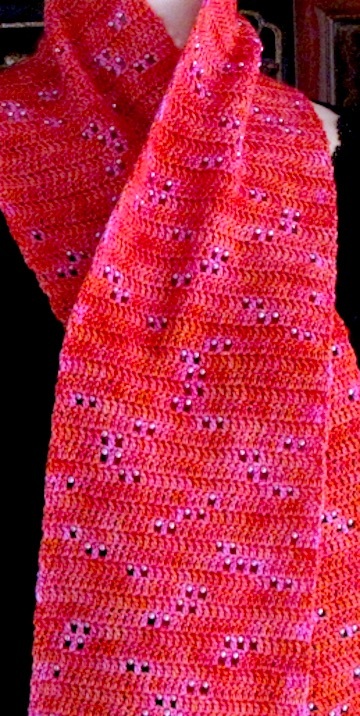 Surely hearts have been crocheted side to side in vertical rows and in diagonal rows, with Tunisian or slip stitches. 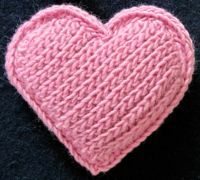 I haven't found them yet, so here is my contribution to the online pile of free crochet heart patterns. 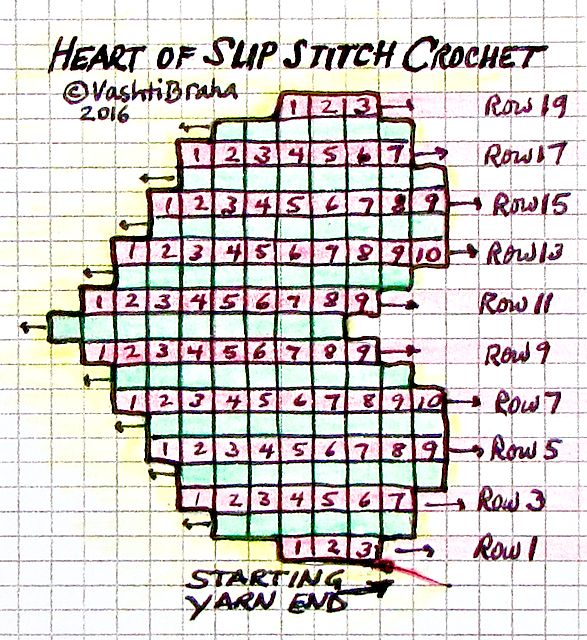 For the chart below I used graph paper that I customized to the dimensions of average front-loop slip stitches (Fss). It will also work for back-loop slip stitches (Bss). Fss rows are taller than Bss though, so a Bss heart crocheted side to side will come out a bit skinnier. Click the chart to see it enlarged. How lovely, a free pattern, right? If you're an experienced slip stitch crocheter, just follow the chart row by row and use the increase and decrease methods you prefer. 2. To increase at the start of a row I like to chain more to extend the row. Conversely, to decrease at the end of a row I like to stop short (turn, leaving stitches unworked, i.e. a short row). If you're not an experienced slip stitch crocheter, use the written pattern along with the chart. It's all at my blog. Are your slip stitches on the tight side? That's great for this pattern, as long as you can crochet the next row into them. 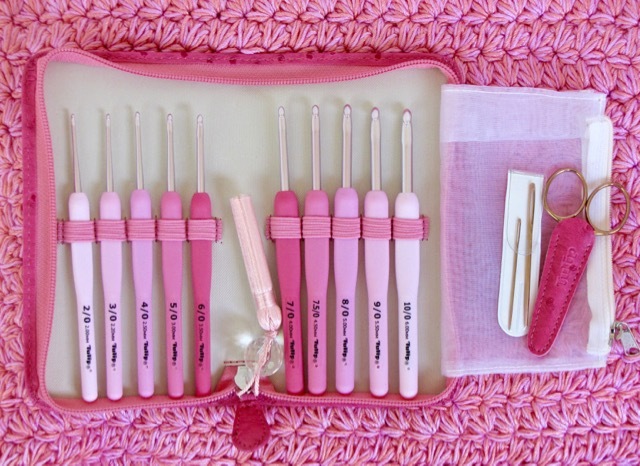 I cannot resist suggesting a premium pink crochet hook. These are on sale singly and in sets until Feb. 17, see right column. These hearts are slip stitch sculptures. 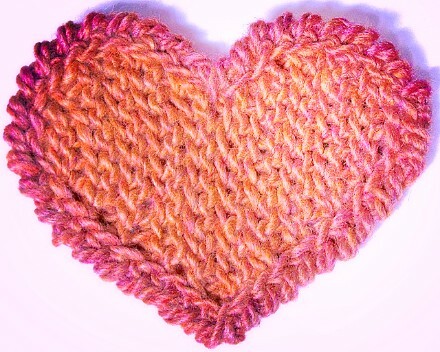 (Actually, most crocheted hearts are naturally sculptural because it's not a simple geometric shape.) You increase or decrease a stitch each row, so the pattern takes some focus. It's so worth it: stuffing doesn't show through the slip stitches and they just feel really cool. 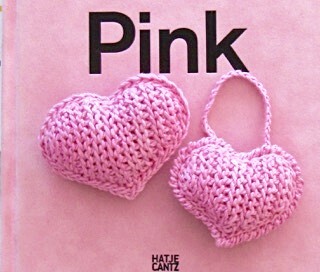 I haven't found any other crochet hearts like them. Above is a special slip stitch heart afghan pocketsquare for my friend Tammy. I used sock yarn and it's about 2" wide. 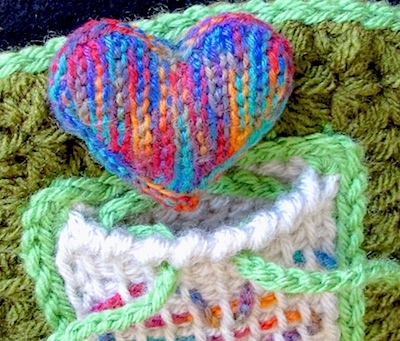 Make these heart shapes with thicker yarns and you can use them as coasters. In thin yarns, a Valentine pin or appliqué. Seam two together with a bit of stuffing and depending on the size (and stuffing), you could have a Valentine charm/pendant, pin cushion, pillow, paperweight, or beanbag. I edged this one with reverse sc. You can go in so many artistic directions with heart shapes. Abbrev's used: Bss=back-loop-only slip stitch, Fss=front-loop-only slip stitch, ss=slip stitch. Front-loop slip stitches in vertical rows above and below. The cover of this book Pink by Barbara Nemitz is pink velvet! Clicking the image gets you 14% off of 100g balls and 33g "Snack" balls of these 4 colors until February 17. 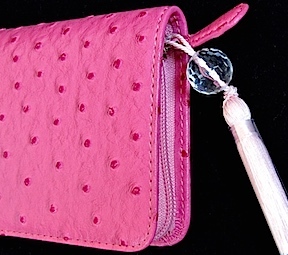 Golly, what if you want TEN of them though, in a pink ostrich-texture case with a tasseled PINK crystal zipper pull? Click the photo for 14% off until Feb 17. Or what about a limited edition Candy hook set? Use code PinkHookSetBeMine at check out. 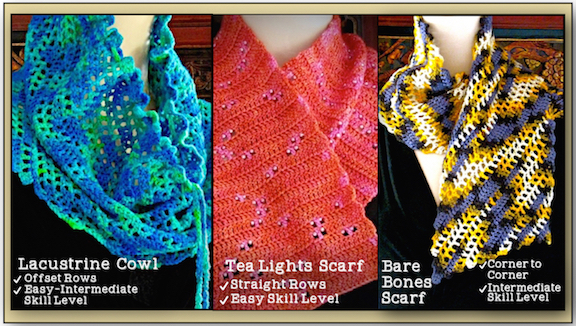 New Pattern Set: Crochet to the Color Playbook. 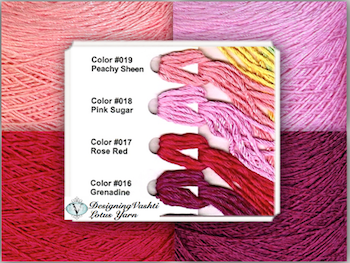 It's a freeform-inflected way to enjoy those spectacular hand dyed yarns you can't resist buying. Registration and hotel block open in March. Here's what students have said about these classes. Crocheters please be counted! Take this TNNA Fiber Arts survey by the end of Feb. 15. (You could win one of five $100 fiber arts store gift cards). It's part of a major study of U.S. crocheters, knitters, needlepointers, cross-stitchers, weavers, and spinners. 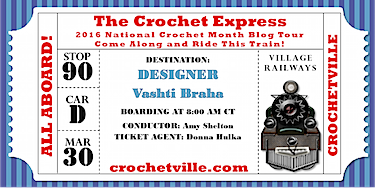 Copyright (C) 2016 DesigningVashti Crochet All rights reserved.